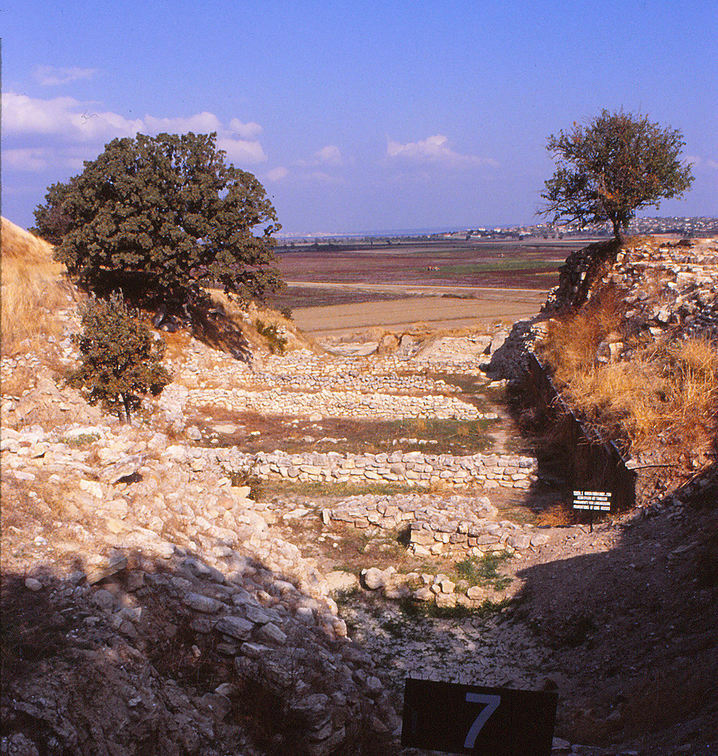 When Schliemann found the tell on the plain of Hisarlik and concluded it was probably Homer's Troy, initial digging indicated that it was a true tell, since different styles and materiel were found at different depths. To determine how far back there had been a city here, Schliemann ordered this ditch cut through the tell. It has been controversial ever since, as many priceless objects were probably destroyed by this heavy-handed method. The photo has been viewed 350 times.